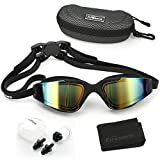 Less ThanstrongGreater ThanSpeedo Solid Silicone CapLess Than/strongGreater ThanLess Thanbr /Greater ThanKeep your hair under wraps when swimming with the Speedo Solid Silicone Cap. 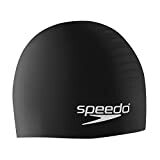 Now you will not complain that your hairs get pulled when you put on or take off your swim cap, because the Speedo’s cap is what you need to get superior, soft texture, excellent stretch, pliability, and durability. Cap does not pull hair when removing or putting on cap. This lightweight silicone cap is quick and easy to take off and put on without snagging your hair. 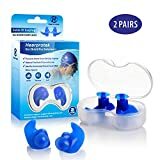 It is made of silicone that also allows head to breathe for a more comfortable fit and can be stretched to more than double its original size. It is designed to hold dome shape and rounded fit with no wrinkles, which reduces drag so that you swim the fastest. It is available in colors; now add a little color to your swim collection with this. Take your swim performance to the next level and wave goodbye to the competition while wearing the Speedo Solid Silicone Cap.